As many of you may know Chris was badly injured after being hit by a tree limb on January 3rd, 2014 and was airlifted to Dartmouth-Hitchcock Medical Center, Lebanon NH. He sustained severe injuries to his head and face, necessitating major reconstructive surgery and will likely require additional surgery in the future. They will undoubtedly have major medical expenses that would be hard for any young family to burden and so we are hoping that as a community we can come together to help them with this unexpected tragedy. 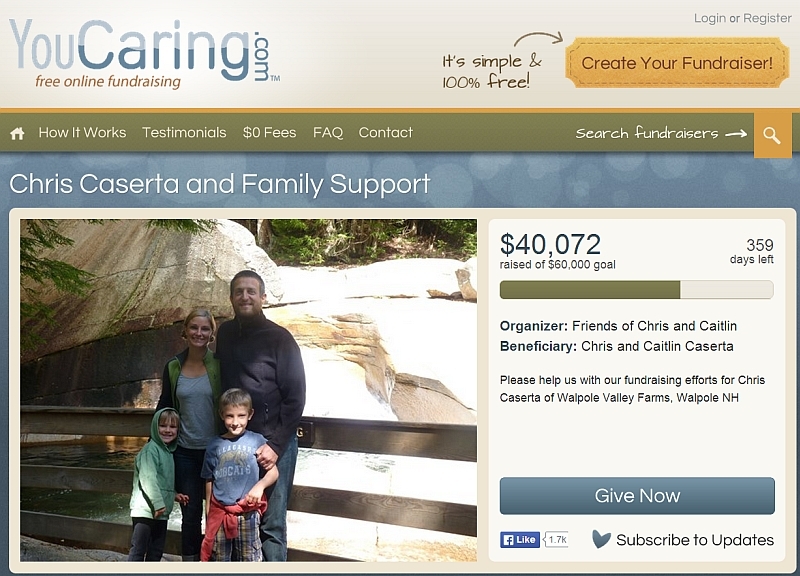 We have already seen the love and support Chris and Caitlin have received from both near and far, and we are starting this campaign to help them handle the financial burden involved. This will allow them to better focus on Chris’s healing and getting back to their normal routines as quickly as possible.